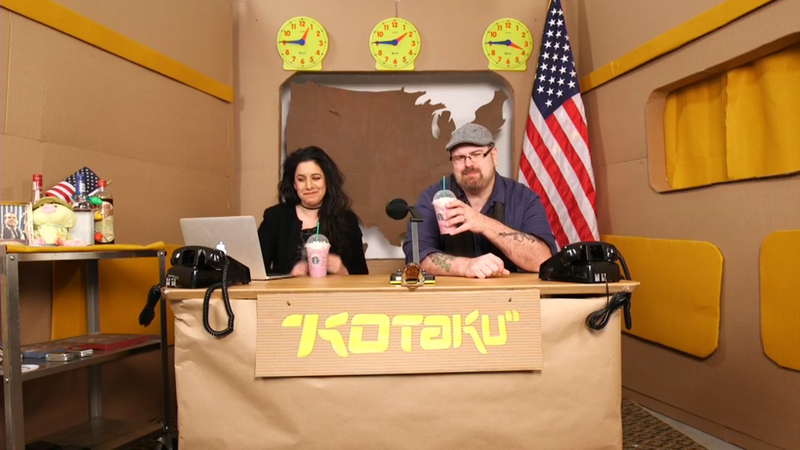 Live from New York, it’s Snacktaku, featuring special guest Cecilia D’Anastasio. Watch us drink Starbucks’ Pokémon Go marketing tie-in as we ponder whether or not they skinned the Pokémon before grinding them up. The video below was filmed in front of a very small studio audience at Kotaku headquarters in New York City, and was originally broadcast live yesterday via Facebook. Mind the quality, and by that I mean Cecilia and I present a quality look at a drink that doesn’t really taste much like Pokémon at all. Also we had to redownload the video from Facebook, so it has the resolution of a 1970s soap opera and just as much drama.